Short for “Next Generation,” the program calls for equipage of ground ATC facilities, airports, and private aircraft with the capability for generating, displaying, and communicating real-time situational awareness using precise positions of all aircraft operating in the surrounding air space. During the past five weeks, the U.S. Senate and House passed different versions (S. 223 and H.R.658, respectively) of a Federal Aviation Research and Development Reauthorization Act that would expedite implementation of NextGen. The primary goals of NextGen are to enhance the safety, reliability, and efficiency of air transportation while reducing aviation’s adverse effects on the environment. It represents the first makeover of the U.S. air traffic management system in 60 years, first augmenting and then replacing the radar and voice-communications–based ATC system of today. The original estimate for implementing NextGen by 2025 — ground infrastructure, airport equipment upgrades, aircraft avionics, and so forth — was $40 billion. The FAA projected that the agency’s total spending over the first 10 years would range from $8 billion to $10 billion, and from $15 to $22 billion through 2025. A recent analysis, commissioned by the FAA’s Joint Planning and Development Office (JPDO) overseeing NextGen implementation, modeled a variety of scenarios that assumed different levels of ground capability and aircraft capability over the long term. According to this analysis, implementing the highest performance levels envisioned in the NextGen Integrated Work Plan for ground and aircraft capabilities by 2025 could increase NextGen’s costs significantly beyond $40 billion. The payoff comes in improved efficiencies and throughput in the national air space. According to the latest FAA estimates, by 2018 NextGen air traffic management (ATM) improvements will reduce total delays, in flight and on the ground, about 35 percent compared with what would happen if the modernization does not occur. The reduction in delays will provide $23 billion in cumulative benefits from 2010 through 2018 to aircraft operators, the traveling public and the FAA, saving about 1.4 billion gallons of aviation fuel during this period and cutting carbon dioxide emissions by 14 million tons. The weak spots in this vision have been FAA’s capability to implement such a complex and ambitious project on schedule as well as a finding a method to expedite the purchase, installation, and certification of the necessary avionics equipment on board the nation’s air fleets. Much of the $1 billion–plus per year has gone into supporting technology development and equipment standards, and deploying NextGen capabilities at airports and FAA ATC facilities. Airlines and aircraft operators will be expected to pay for the cost of mandated NextGen equipage of their own. As the FAA observed in the 2011 version of the NextGen Implementation Plan released last month, “Just as we rely on funding for our own work as a Department of Transportation agency, we must synchronize our investments with those of other government agencies, airport authorities and the private-sector aviation community. For commercial airliners, the cost for NextGen avionics, installation, and service contracts ranges from $200,000 to $1 million each, depending on the type of aircraft. The core NextGen technologies are Automatic Dependent Surveillance–Broadcast (ADS-B), data communications, System Wide Information Management (SWIM), NextGen Network Enabled Weather, NAS Voice System, and Collaborative Air Traffic Management Technologies. In the words of the FAA, the “backbone of the NextGen system” and “the future of air traffic control,” is the ADS-B system. ADS-B uses GPS satellite signals to provide air traffic controllers and pilots with much more accurate information to help keep aircraft safely separated in the sky and on runways. Aircraft transponders receive GPS signals and use them to determine the aircraft’s precise position in the sky, which is combined with other data and broadcast out to other aircraft and air traffic control facilities. When properly equipped with ADS-B, both pilots and controllers will, for the first time, see the same real-time displays of air traffic, substantially improving safety. ADS-B has two avionics elements, ADS-B Out and ADS-B In. The first enables the broadcast of ADS-B transmissions from aircraft, without the installation of complementary receiving equipment to process and display ADS-B data on cockpit displays to pilots. This complementary processing is called ADS-B In. ADS-B Out is required before cockpit displays will be able to directly observe traffic and so, consequently, can be deployed first, because ATC controllers can still use the data. FAA has committed to fielding initial NextGen system operating capability with key technologies including ADS‐B and data communications by 2018. 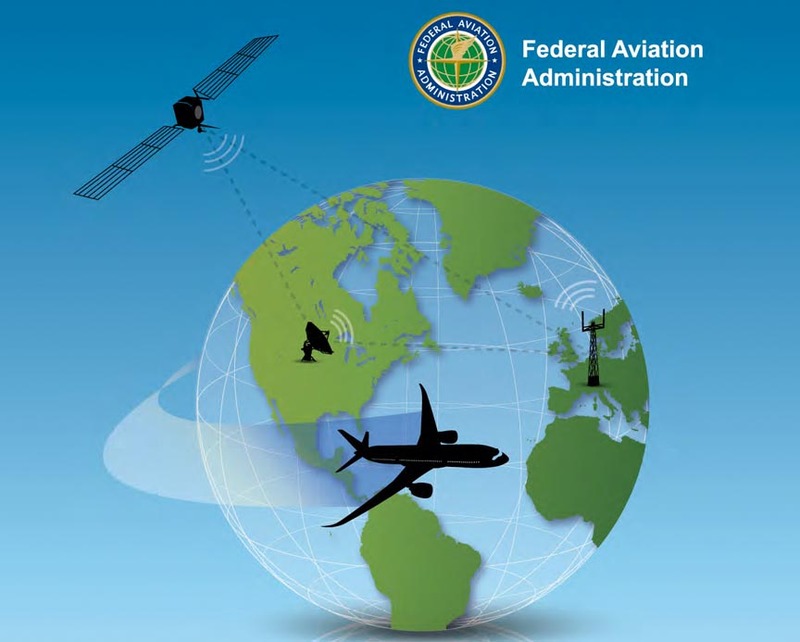 An FAA Advisory Circular (AC) 20-165 issued May 21, 2010, provides guidance for the installation and airworthiness approval of ADS-B Out systems in aircraft and mandates that they broadcast ADS-B information in most airspace by Jan. 1, 2020. Considering the associated costs, the quandary for the aviation community is making the business case for early installation of NextGen avionics, given the uncertainties — such as those raised by the GAO — as to whether the FAA can actually get the NextGen system in place in time for airlines to save money on operations in time to pay for the equipment. Adding to the uncertainty and risk is the fact that an individual airline equipping its fleet — even with FAA’s NextGen infrastructure, ATC procedures, and trained controllers in place — doesn’t guarantee significant cost savings. The NextGen concept won’t work without a substantial portion — at least 50 to 60 percent — of the nation’s aircraft being suitably equipped so that air traffic can be tracked with the new system. For instance, a 2002 study by the MITRE Corporation Center for Advanced Aviation System Development projected detailed delay savings by individual airline for controller-pilot data link communications. Using American Airlines as an example, the MITRE study showed an $8.7 million yearly savings for the airline at its hubs if only American was equipped versus $80 million if all airlines were equipped. Consequently, the temptation will be for strong for aircraft operators to delay purchase and installation of equipment until much closer to the current deadline. This is called the “NextGen Equipage Paradox” by principals with the NextGen Equipage Fund LLC, a recently formed capital fund led by ITT Corporation, NEXA Capital Partners LLC, and leading aerospace companies that believe it has an answer to getting NextGen on board America’s air fleet. Established last July, the NextGen Equipage Fund seeks to solve this paradox by establishing a $1.5 billion capital pool (equity and debt), backed by federal loan guarantees securing 15-year non-recourse loans to enable airlines to outfit their fleets. Under the fund’s plan, payments for the equipage would be deferred until the FAA delivers specific NextGen services to aircraft operators, with interest not accruing for about seven years, given the FAA’s current NextGen implementation timeline. The $1.5 billion would provide enough funding to enable the retrofit of up to 75 percent of the U.S. commercial air transport fleet – including airlines and some general aviation aircraft, according to Michael Dyment, general partner of the NextGen Fund LLC, and managing partner at NEXA Capital Partners. No doubt — but that doesn’t mean that they are ready to make the investment any time soon absent a strong incentive, not just a mandate, including lower risks and reassurance that they system benefits will be there when the avionics are. In an earnings conference call on Tuesday (April 26, 2011), for instance, Delta Airlines CEO Richard Anderson made a case for holding off on investing in NextGen avionics. While noting that “as an industry, through the Air Transport Association, we are supportive of NextGen,” he said many commercial airlines have already made “significant investment on equipage” for existing fleets that is not being used. The complicated ATC modernization effort hasn’t been helped by a burst of negative publicity lately involving controllers falling asleep at their terminals. Hank Krakowski, head of the FAA’s Air Traffic Organization (ATO), resigned April 14 as a result of public outcry that followed. Reportedly, the FAA will shift responsibility for leading the NextGen effort away from the ATO to Deputy FAA Administrator Michael Huerta. Nonetheless, recent polling conducted on behalf of the Aerospace Industries Association (AIA) shows considerable public support for fully funding the Federal Aviation Administration and NextGen. Results of a survey conducted in March and released by AIA on April 7 indicate that 68 percent of Americans support new technologies to improve air safety and 65 percent favor maintaining or increasing FAA funding levels. Only 19 percent polled favor cutting FAA’s budget. Moreover, a majority of Americans knowledgeable about NextGen support its timely implementation, according to the AIA. "It’s critical that Congress fund the FAA by passing a fiscal year 2011 appropriations bill," said AIA President and CEO Marion C. Blakey. "More continuing resolutions will further erode FAA’s ability to implement the much needed Next Generation Air Transportation System in a timely manner." Blakey, a former FAA administrator, is also a backer of the proposed NextGen Equipage Fund. ability to start equipping aircraft fleets as early as 2012–2013. Unlike a federal agency, a private investment fund — experienced in structuring financial deals and managing risk — can bring the expertise and resources necessary to make a PPP work. “If an airline defaults, we can handle that,” he says. If nothing else, the fund can get equipment back from a defaulting loan recipient and put it on another airline’s aircraft. A pivotal factor in making the fund’s vision a reality is whether the FAA will buy into a PPP that puts the agency on the hook to produce a complex program on schedule. The latter PPP participants would decide how the money is spent, with airlines specifying and purchasing the equipment within the framework of the FAA technical standard orders for NextGen-capable avionics. The interests involved in the equipage fund are more closely linked to the enterprise and underlying technologies than many such business ventures. FAA selected ITT Corporation in August 2007 to be the prime contractor for the ADS-B ground stations — a $1.85 billion undertaking. ITT is building, installing, and maintaining the nationwide network, investing the company’s own funds to construct the towers. The FAA will pay “subscription charges” to the company, just as the agency today buys telecom services from telecommunications companies. ITT has already finished more than 300 of the 794 total ground stations planned. The program has already implemented successful ADS-B deployment at key sites in Alaska, the Gulf of Mexico, Louisville and Philadelphia. As a result, air traffic controllers at Houston and Philadelphia are already to use ADS-B to track and separate aircraft separately from radar. Last October, the FAA gave ITT the go-ahead to finish rolling out the rest of the nationwide network, which the company says it is on track to complete by 2013. Aside from ADS-B, ITT is well known in the world of GPS through other divisions, one of which has built the navigation payloads for every GPS satellite that has been launched or built to date. ITT is also part of the Raytheon team that won a $1.5 billion contract to modernize the GPS Operational Control Segment — the so-called OCX program. Another business unit of the White Plains, New York–based company builds selective availability-anti-spoofing module (SAASM) GPS receivers for the Department of Defense. The NextGen Equipage Fund’s general partners, Dyment and Russell Chew, also come with solid resumes for the venture. Before joining the firm last year, Chew had served as president of JetBlue Airways since 2007. Previously he was chief operating officer for the FAA from 2003 through 2007, responsible for the entire U.S. air traffic control system. Dyment has an equally remarkable background. Prior to helping form NEXA, he was a senior managing director with PricewaterhouseCoopers LLP, responsible for key aerospace and defense industry clients. He was the principal advisor to ITT on its 2007 ADS-B award and has been a senior advisor to several FAA administrators. He was previously an officer and vice-president of the transportation practice of A.T. Kearney, Inc. From 1996 to 2002 he served in the business-consulting unit of Arthur Andersen LLP, where he was the managing partner of its global aviation industry practice. 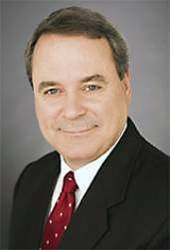 In the early 1990s Dyment was a principal with Booz Allen &Hamilton, Inc., and led its Washington D.C.–based based civil aviation practice, a unit of the worldwide technology business. In addition to his transportation business credentials, however, Dyment also has a long-standing appreciation of NextGen’s underlying GNSS technology. He obtained a B.Sc.Eng. in geodesy and geomatics from Canada’s University of New Brunswick, a well-known GNSS academic center, and an M.S. in aeronautics and astronautics from Massachusetts Institute of Technology, where his thesis topic addressed GPS signal jamming and mitigation methods. While at MIT, he worked as a research assistant on projects for the DoT’s Volpe Transportation Systems Center and Draper Labs. Early in his career, he worked in the avionics supply chain and was a product manager for GPS programs with avionics manufacturer Canadian Marconi Company. For the time being, the fortunes of the equipage fund — and probably the NextGen program as a whole — rests with Congress and the White House, all of which have differences of opinion about the FAA R&D legislation, although none of them have to do directly with NextGen. Longer term, a successful PPP around avionics equipage could pave the way for additional efforts.